The Liston Hotel is situated within five minutes walking distance from Bournemouth’s award winning beach, famous for seven miles of stunning golden sand. In every direction there is an abundance of nature to absorb. From Hengistbury Head and Mudeford Quay across the bay to the Jurassic coast line; recently voted within the top 10 most beautiful natural places in Great Britain! O2 Academy Bournemouth is a live entertainment venue in Bournemouth, Dorset, England. It is a grade-ll listed building. The building was originally the Boscombe Grand Theatre, opening on May 17, 1895. You’ll find an endless choice of quality boutiques and department stores as well as some fantastic bargains. Afterwards, for your pleasure, there are a number of coffee houses, cool bars and local restaurants to sit back in relax and reflect on your purchases. For your evening’s entertainment it’s just a short taxi ride into town where you’ll find a whole melting pot of entertainment from live music and vibrant bars to some of the best club nights across the south coast. If you prefer your evening a little more on the quiet side then perhaps Poole old town is worth a visit. Built in 1870, the theatre was the private abode and performing home to the world famous Shelleys, a theatrical and literary dynasty from the 19th century. After a period of alternate use and recent purchase by the present owners, they are currently restoring the theatre to its former glory. With a full year round performance and film programme, facilities include a 160 seat auditorium, small dressing room, baby grand piano, black box staging and sound facilities. 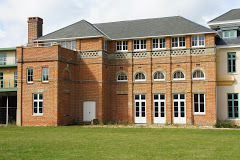 The present football club can trace its roots as far back as 1890 when Boscombe St. Johns Institute Football Club were playing in local football. With their own ground, named Dean Court after the benefactor, the club continued to thrive and dominated the local football scene. Welcome to the gem of the south coast! Bournemouth has seven miles of award winning beach. Boats moored in the historic Poole Harbour.